Additional Details Comes with GIA Report and Raymond Lee Jewelers Presentation Box! Categories: 3 Stone Engagement Rings, Asscher Cut Engagement Rings, Diamond Engagement Rings, Engagement & Wedding | Raymond Lee Jewelers, Fancy Color Engagement Rings. 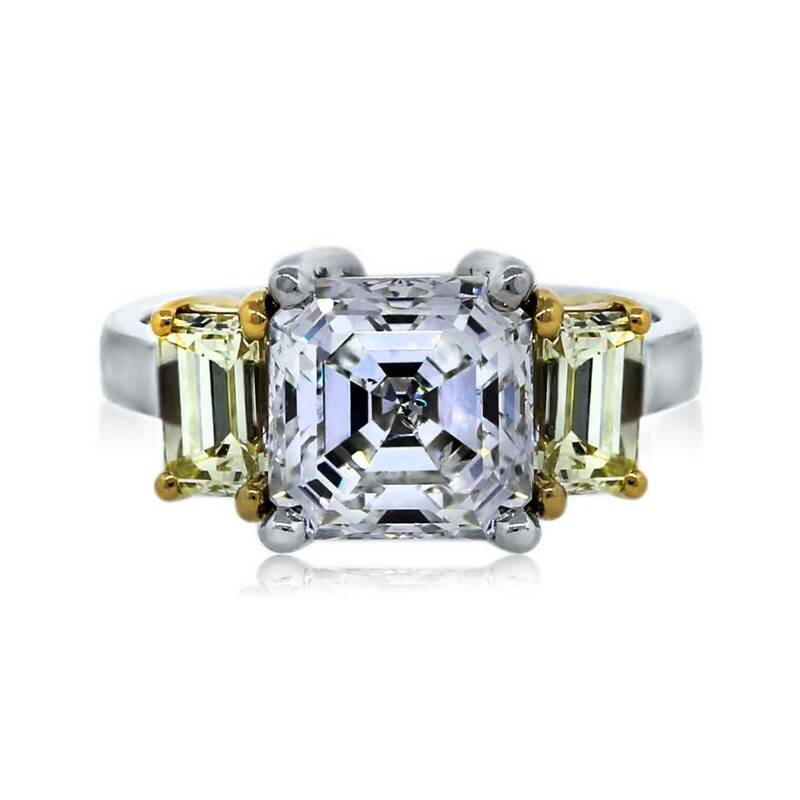 Tags: Asscher Cut Diamond, Diamond Ring, Engagement Ring, fancy yellow diamonds, Three Stone Ring.